It may seem like a morbid way to spend a summer vacation, but she wants people to know their burial options. Hanna Longard, a fifth-year student at Mount Allison University in Sackville, N.B., is researching ways that environmentally-conscious Canadians can give back to the environment even after death. SACKVILLE, N.B. — A New Brunwsick university student researching environmentally conscious funerals says she hopes her research will help ease the discomfort some people feel when talking about death. 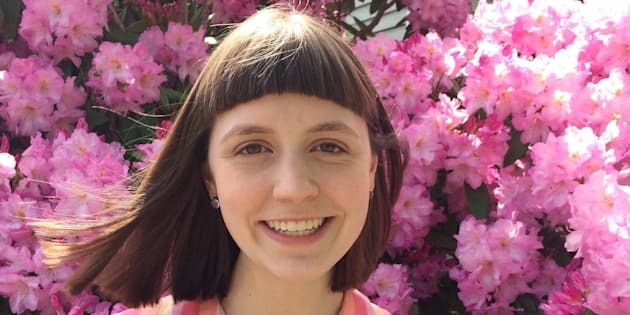 Hanna Longard, a fifth-year student at Mount Allison University in Sackville, N.B., is visiting cemeteries in eastern Canada and consulting with community members, funeral directors and other people within the so-called "death-care" industry in an effort to figure out how people can give back to the Earth even after death. "There is a fear that if you talk about death, it makes it real," Longard said in a phone interview. "The fear comes from different places for different people. But as soon as I start having these conversations with people, they realize how many thoughts and questions they have on this topic." Sunrise Park Inter-Faith Cemetery is a Halifax-area graveyard offering environmentally-friendly burial options, is seen in an undated handout image. It may seem like a morbid way to spend a summer vacation, but Longard said it's important for people to know they have options when it comes to how they're buried, aside from conventional Western practices, which often involve packaging and tidying up the body in ways that release toxic chemicals into the ground. She noted that cremation, sometimes viewed as an eco-friendly alternative, is hardly better. "People typically believe cremation can be environmentally friendly because you're not taking up space in a cemetery plot on land," she said. "But because of the emissions and toxins released, you actually are taking up space, but in the atmosphere instead." She said people can make their burials greener by refraining from embalming, forgoing concrete or metal vaults and using only compostable materials, like a pine box or a linen shroud. Brigitte Sabatier prepares her stand of bio-degradable cardboard coffins during media day at the 'Salon de la Mort' (Funerary Show) in Paris on April 7, 2011. Longard said it's also important to be aware of where the burial materials are coming from: if you order a pine box that was made across the country, the energy it takes to transport it to your final resting place could cancel out any environmental benefits. As part of her research, Longard visited Duffin-Meadows Cemetery in Pickering, Ont., which she said is a great example of a green cemetery: it offers compostable caskets and communal monuments instead of individual grave markers. She also went to Sunrise Park Inter-Faith Cemetery in Halifax, N.S., and said that while the facility isn't strictly green, it does offer green burial options and is considering how to expand them. Longard said the reasons for pursuing green death care are different for everyone. Solar panels fill the roofs of mausoleums in a cemetery in Santa Coloma de Gramanet, near Barcelona. "There's many different motivators for green death care, and some people are motivated exclusively by the statistics of the environmental impact of the conventional practices," she said. "But for a lot of people, it does seem to have a more of a spiritual connection in that they are interested in a re-integration with the Earth, and that they feel that their body is part of the Earth." Originally from Nova Scotia, Longard grew up in an environmentally-conscious household and said that she's always had an interest in giving back to the earth. Yves Berthiaume, a funeral director in Hawkesbury, Ont. and the president of the Funeral Service Association of Canada, said most funeral homes have options for those interested in having an environmentally friendly funeral — the issue is that people don't ask for them. "We've been in business for 125 years here in Hawkesbury, and we've never had a request for a green funeral," Berthiaume said. "The demand isn't there." He said he's confident the industry will be able to adapt if green funeral practices become more commonplace, but for now, he said his funeral home doesn't advertise their green funeral options because of the lack of demand. "There is a cost for the funeral home to get ready to be able to serve the family with a green funeral," he said, explaining that some homes carry more eco-friendly embalming fluids and other green products that may be more expensive. "So if the demand is not there for the funeral home, then it's hard for them to have everything ready." Town of Rhinebeck Cemetery committee chairwoman Suzanne Kelly points out a burial mound in the cemetery's natural burial ground in Rhinebeck, N.Y.
Berthiaume said the stigma surrounding topics like funerals and death is likely contributing to the lack of public knowledge about environmentally friendly death-care practices. But Erik Lees, a past president of the Green Burial Society of Canada, said it's up to funeral directors to be more proactive in educating their clients on green funerals. "No one's going to ask for it if they don't know it's available, or if it's not promoted or explained by the funeral home," he said. "The consumer needs to be educated, but the service providers also need to be educated." Lees also said there seems to be a rising interest in the subject, and the society has received an influx of questions about green death-care practices over the past year or so. As for Longard, she said the goal of her research project is to get more people comfortable with talking about death. While there are many ways to make a burial more eco-friendly, she said people can take it in baby steps, saying that there's "no one formula." She added that even if your local funeral home doesn't advertise it, they likely have options that people can explore. "At this point, you need to know what to ask for," she said.